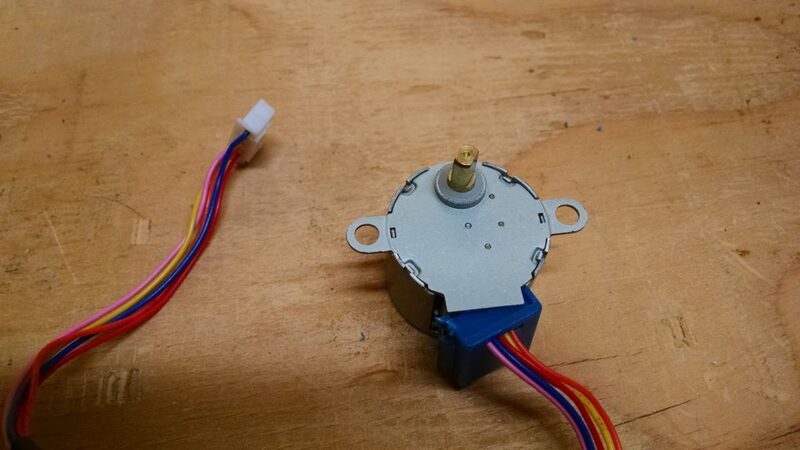 Based off of this post on hackaday about a simple clock using a cheap stepper motor, I decided on a whim to buy some. I chose these on Amazon because they had the desirable combination of being cheap and prime-eligible. 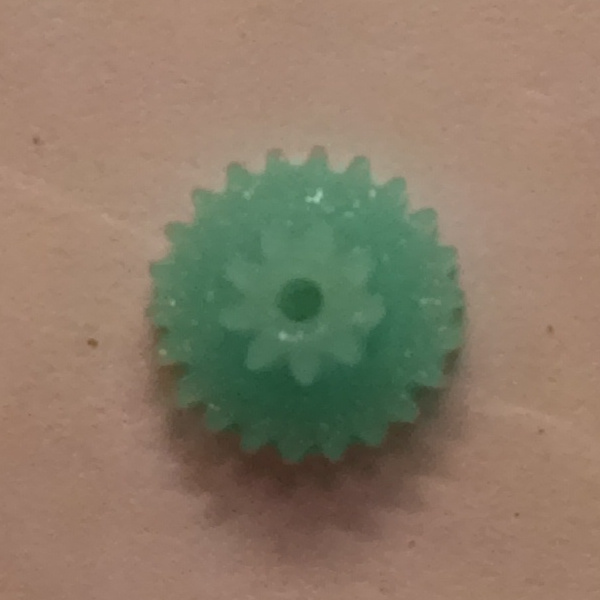 Adafruit says 32 steps/rev and 1/16.032 gearing (which they round up to 513 steps/rev). 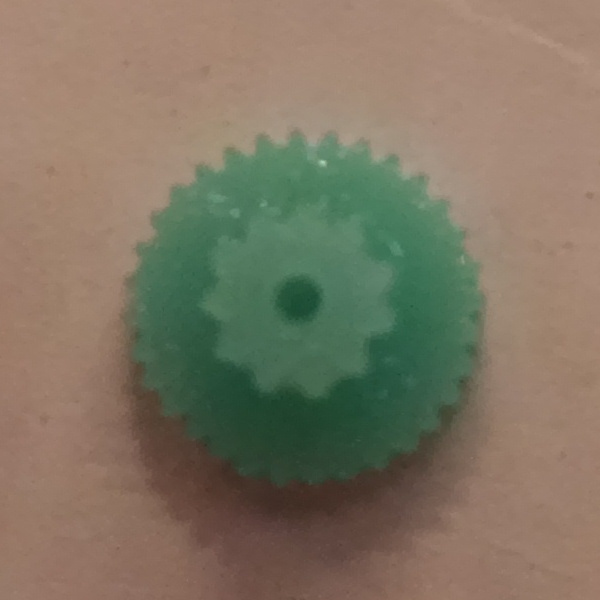 So, when my steppers arrived, I decided to run experiment to determine which gear ratio I had. I should point out that I usually power my breadboard from a 9V wall-wart with a linear regulator to bring it down to 5V. 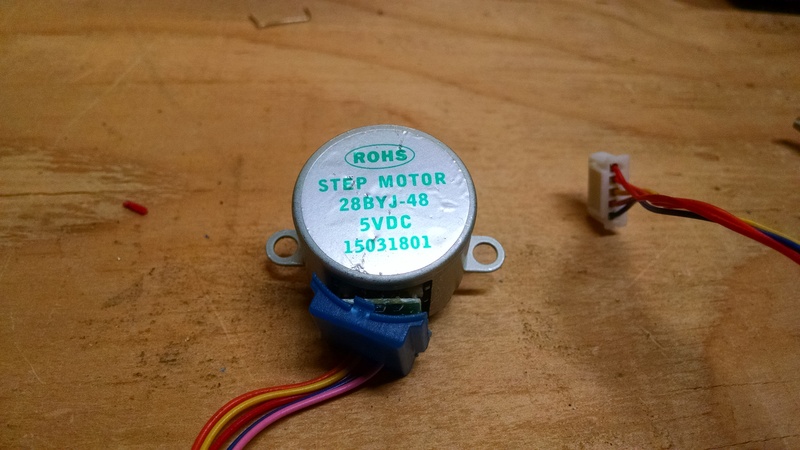 This stepper draws enough power, though, that I was having problems with brown-out. So, I switched to using a 4xAA battery pack. The voltage is a bit higher than 5V, but everything seems to tolerate it OK.
After 5000+ revolutions, there was no noticeable change in end position. 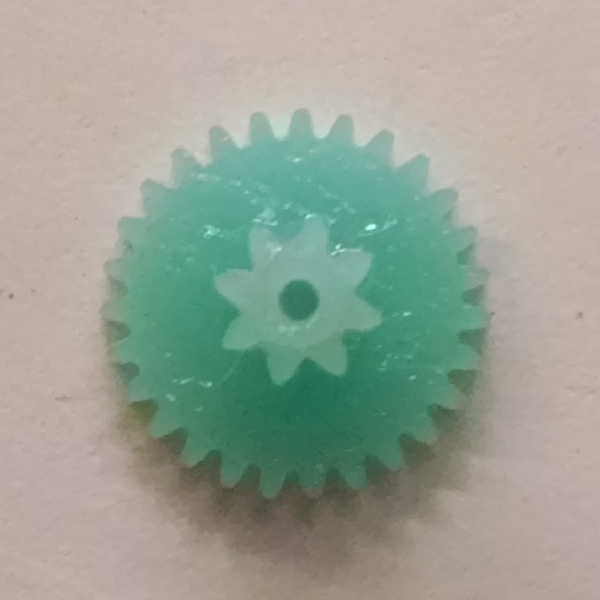 I think I may have the magical “true” 1/64 gearing! Just to be sure I didn’t fool myself, I changed to code to do 513 sequences (i.e. 4 steps), I noticed it drifting quickly. 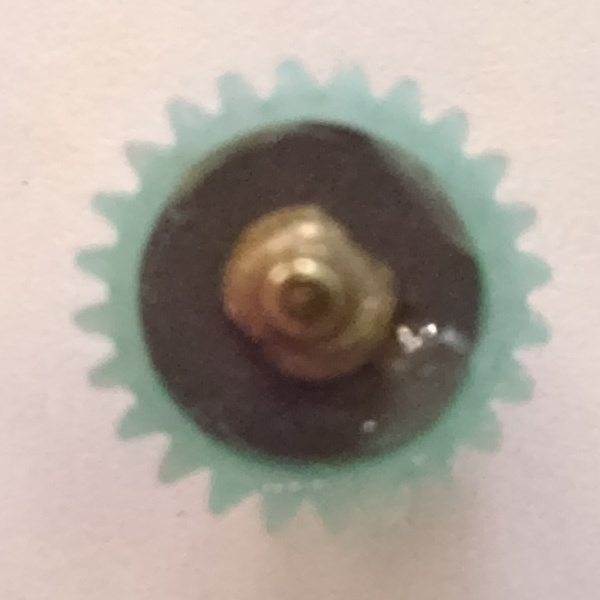 NOTE: when I tested all 5 steppers that I bought (all seem to have the same gearing), one seemed to get jammed. Running it in the opposite direction, and giving it a bit of manual “encouragement” seems to have fixed it, but it’s probably the one I’ll disassemble. It may have also been that my battery pack was running low, and didn’t have enough power to reliably drive the motor. At this point, I decided to potentially sacrifice one motor to confirm once and for all that I had a true 1/64 gearing. Getting the case apart was surprisingly difficult. I thought that the little tabs would bend out of the way easily, but they were too small to grab easily, and much tougher than I expected. Once I got it opened, the gear train looked similar to other photos I had seen. 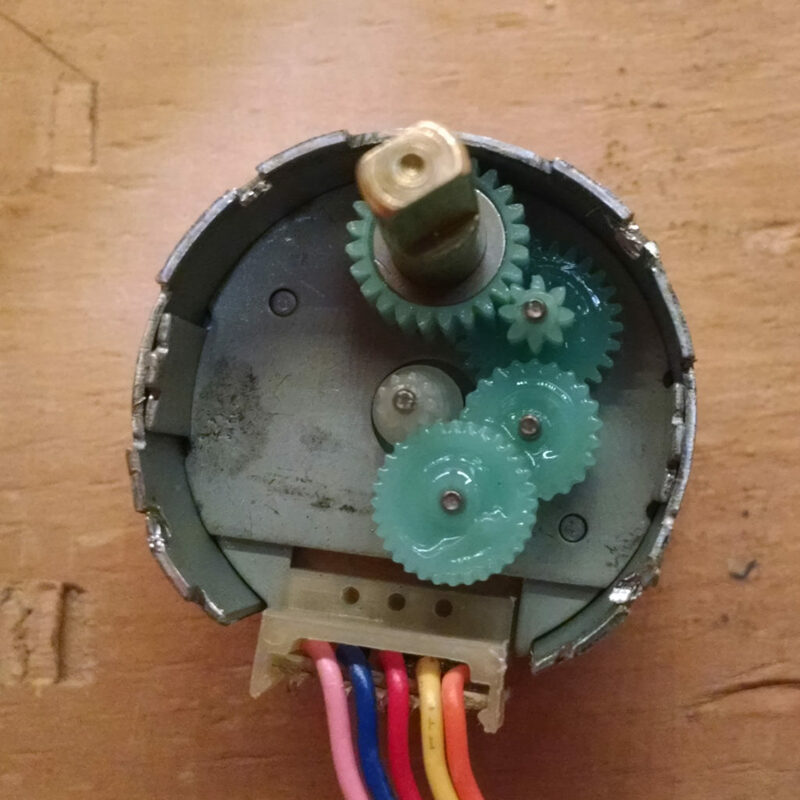 So, I do truly have a stepper motor with a 1/64 gearing. This will make any projects in the future much easier, not having to compensate for an odd gearing! 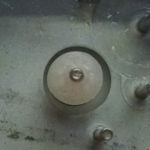 Unfortunately, putting the stepper back together was also difficult. The magnets pull the motor output shaft off-center, so the plate doesn’t really want to click back in place. Additionally, I don’t have a good tool to bend the tabs back in place…so it’s being held together with masking tape for now. Good thing I have four others to use! This entry was posted on Monday, September 12th, 2016 at 12:22 am	and is filed under Reverse Engineering. You can follow any responses to this entry through the RSS 2.0 feed. You can leave a response, or trackback from your own site.